Hi again, I am back on the final day of our JustRite Papercrafts January release. Hope you enjoyed this release as much as I did. Today we are showcasing Spring Wishes Vintage Labels Eight Clear Stamp set. It's a fun one! Love the fonts in this set so much and it's great for a lot of occasions! 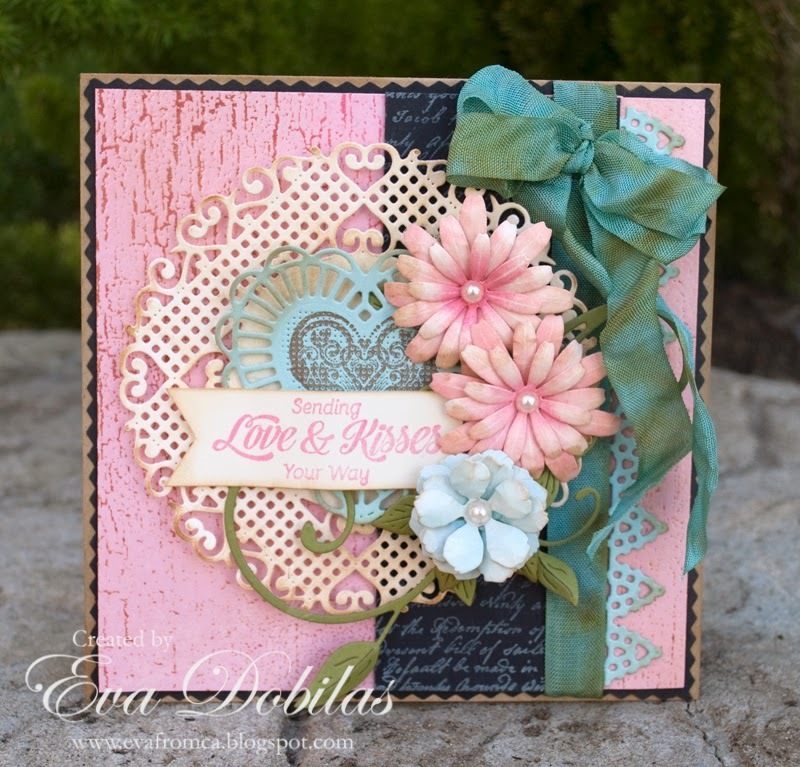 I paired up my sentiments with the Reversed Crackle Cling Background stamp, which is super fun to create with as you can see on my project. I used quite a few dies to make this card even prettier. They are all by Cheery Lynn, flowers and all.